CRAIG LEVEIN lambasted ‘abysmal’ Bobby Madden before turning his guns on Alfredo Morelos and Scottish FA head of refereeing John Fleming during an astonishing assessment of Hearts’ contentious defeat against Rangers. An ill-tempered clash at a thunderous Tynecastle was ultimately settled by a wonderful Morelos volley, albeit the Colombian marksman was one of three Gers players in an offside position when James Tavernier delivered his pin-point free-kick. 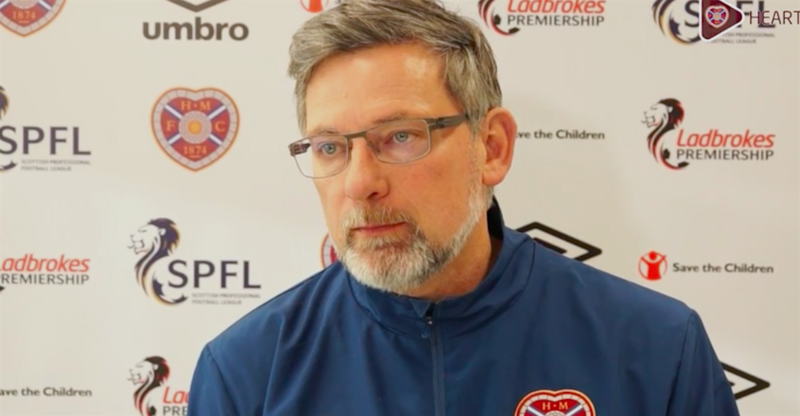 It was an unfortunate case of Groundhog Day for Levein, who revealed a string of errant decisions prompted Hearts assistant Austin MacPhee to phone refs’ chief Fleming recently. Remarkably, he claims MacPhee was told to alter Hearts’ defensive line to make it easier for officials. One would posit that was a joke on Fleming’s part. Levein did not see the funny side. That Morelos was the man to take advantage of Anthony Cooper’s failure to raise his flag was doubly distressing for Levein, who was adamant the combative front-man should not have been on the field to notch his 17th goal of the season. Morelos’ battle with Christophe Berra was an engaging, bruising affair. However, Levein believes the Gers attacker overstepped the mark has hinted that Madden confessed to giving the ‘silly’ striker undue leeway. “How Morelos stays on the park – never mind getting through it without a booking – I’ll never know,” he continued. “Some of the decisions were abysmal. “There was one where he has smashed Christophe [Berra] and Bobby [Madden] said to one of our players: ‘It’s alright, that’s just Morelos – he’s a bit silly sometimes’. Well maybe I’ll tell our players to be silly because you don’t get booked for it! Madden did ultimately flash a red card to Scott Arfield for a wild lunge on Hearts goalkeeper Zdenek Zlamal. That did nothing to assuage Levein’s rage as he claimed his charges were up against 13 men. And Levein has mischievously suggested that he is guaranteed to avoid punishment for his evisceration of the officials because rival boss Neil Lennon was not cited for comments he made after Hibs suffered a 4-2 defeat against Celtic in October. It remains to be seen whether SFA compliance officer Clare Whyte agrees. The rancour did not end at the full-time whistle, with Hearts captain Christophe Berra accusing Kyle Lafferty of lacking ‘class’ after indulging in wild celebrations in front of the Rangers supporters. The Northern Irishman was making his first return to Tynecastle since rejoining the Gers on the back of a 20-goal campaign with the Jambos. 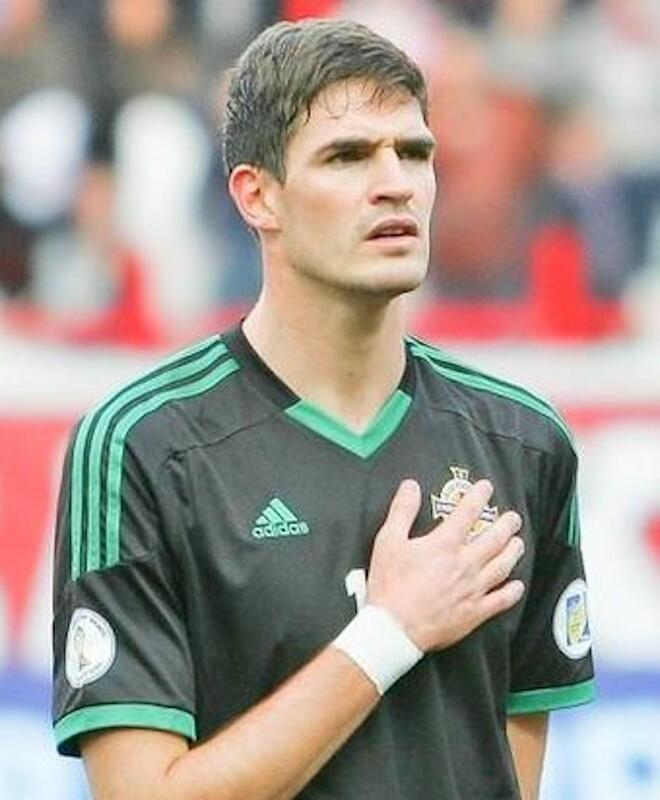 “He [Lafferty] has just got to remember what this club did for him,” said Berra. “I just thought he could have shown a bit of class. Nevertheless, Rangers’ delight was palpable, having stoically held on to a 2-1 triumph despite Arfield’s dismissal. 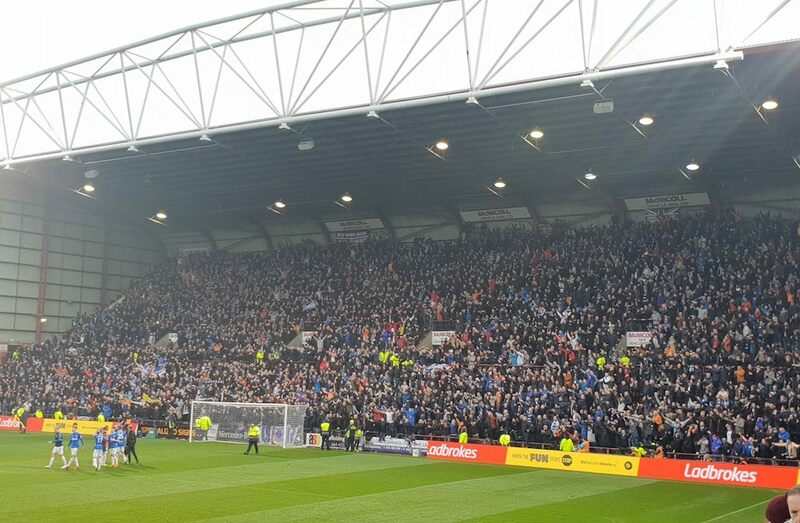 For the second time in four days they held firm with 10 men to register a first win at Tynecastle since April 2012, ascending to the summit of the Premiership in the process. “The emotion at the end comes from finishing the game with 10 men again,” said Steven Gerrard.